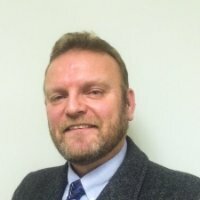 Born in the United Kingdom Calum Pender came to the US 11 years ago and currently works as a Life Safety Consultant with SimplexGrinnell. Law Enforcement was his first direction, working with the British Army as a Military Police Officer and then as a civilian police office before venturing into the private security world. As a private security consultant he has worked in various management positions in all three East Africa countries as well as Hong Kong and Thailand. Calum has over 26 years of security and life safety experience across 4 of the worlds continents. Calum holds a diploma in Security Manager from the University of Leicester in the United Kingdom and is NICET Level III Fire Protection Engineering Technologies, Fire Alarm Systems certified.